Family Guy Sweepstakes: TBS is celebrating Family Guy’s 20th Anniversary by giving away exclusive Family Guy swag with this all new Sweepstakes. To enter, visit tbs.com/familyguy20th now through April 30th and register by following the instructions displayed on screen. 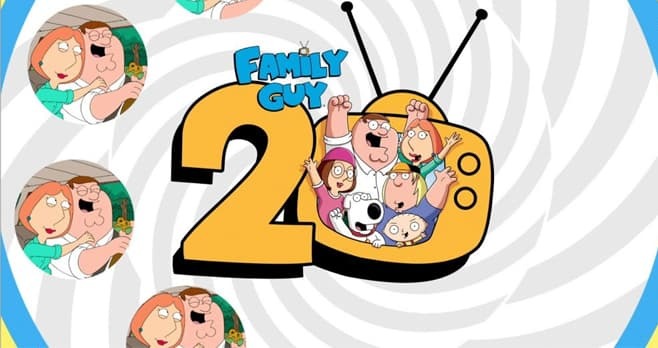 The Family Guy 20th Anniversary Sweepstakes is open to legal residents of (and who are physically present in) the fifty (50) United States and the District of Columbia, who are eighteen (18) years of age or older on the date of entry. The Sweepstakes begins at 12:01:01 a.m. EST on April 8, 2019 and ends at 11:59:59 p.m. EST on April 30, 2019. Limit one (1) entry per person, e-mail address and household. The grand prize consists of handpicked items from the Griffins. Visit www.tbs.com/familyguy20th to enter and see Official Rules for details.